Expertly crafted and built from wood selected to enhance each piece that is designed to meet your lifestyle needs. California Oak dining table. 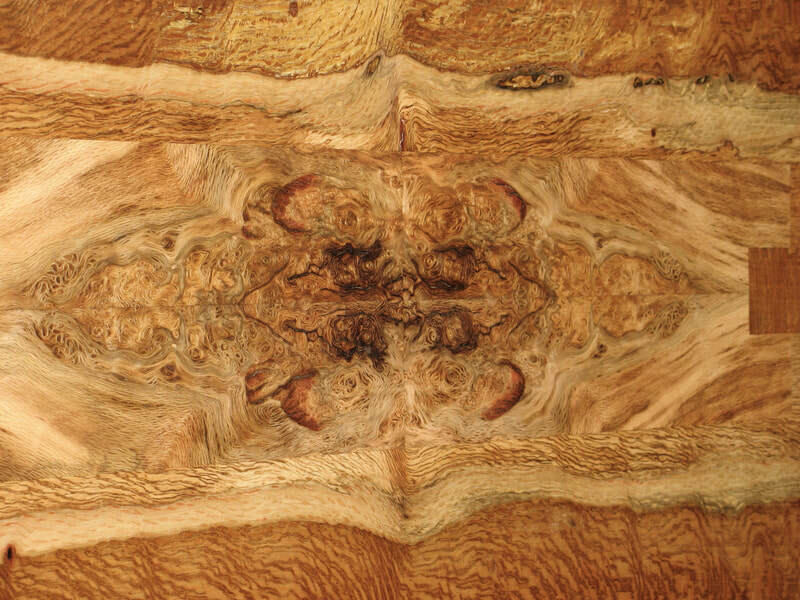 Close up of oak burl inset book-matched to extend pattern for center detail. 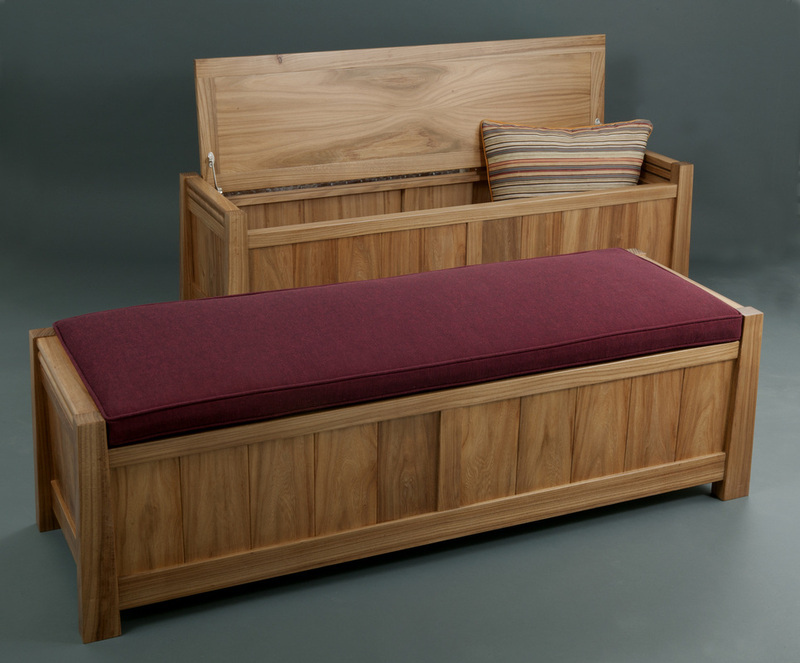 Pair of benches in elm with storage beneath the cushion seating. Pair of benches in elm with storage beneath the cushion seating. Interior side of bench and piano hinge can be seen in this shot. From left to right, side panel, lid-stay and pull. 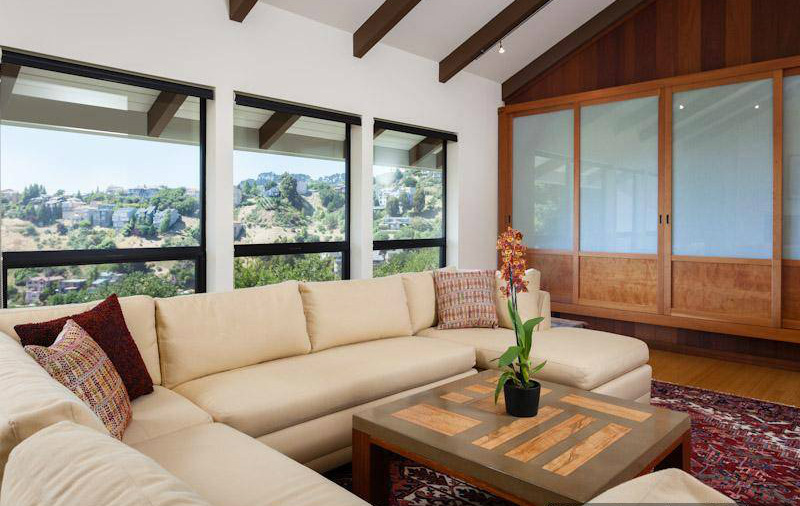 Concrete topped coffee table with California Live Oak inserts on a Kwila base, complements the pre-existing wall unit that houses the room's home entertainment equipement. 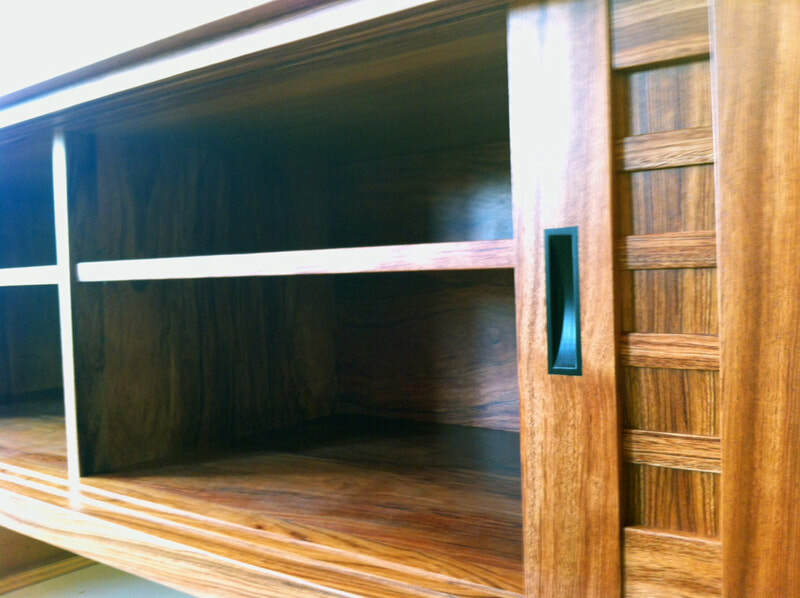 Bookcase with storage and lighting crafted from walnut and figured mahogany. 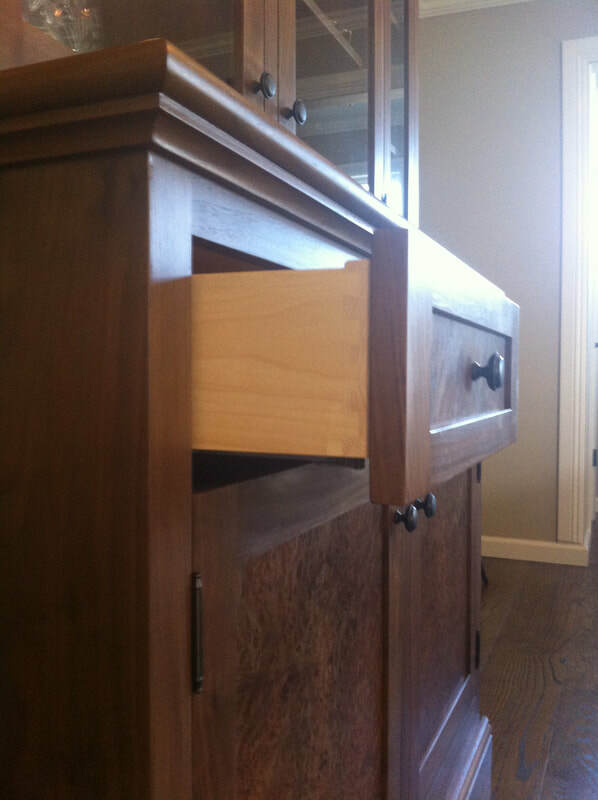 Close up of floating shelves & drawer. Steel re-enforced back to support shelving, while keeping clean look. 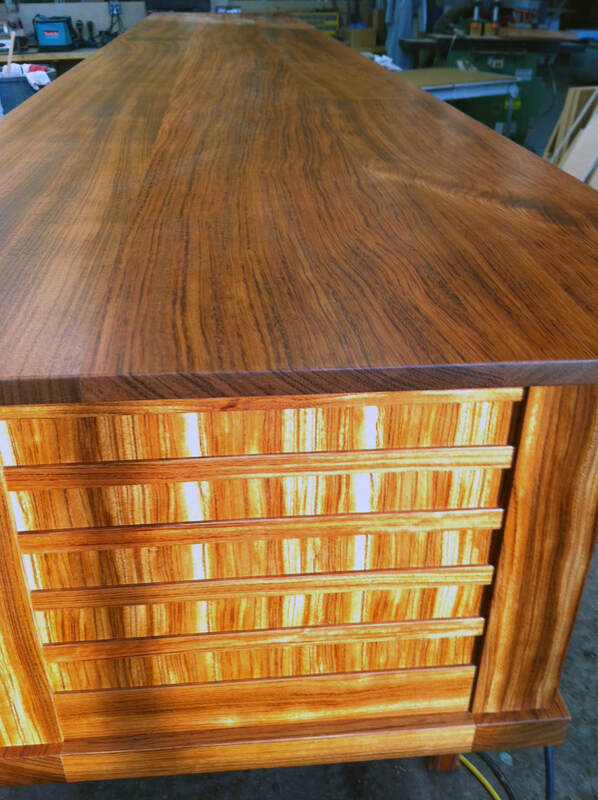 Walnut breakfront/hutch. 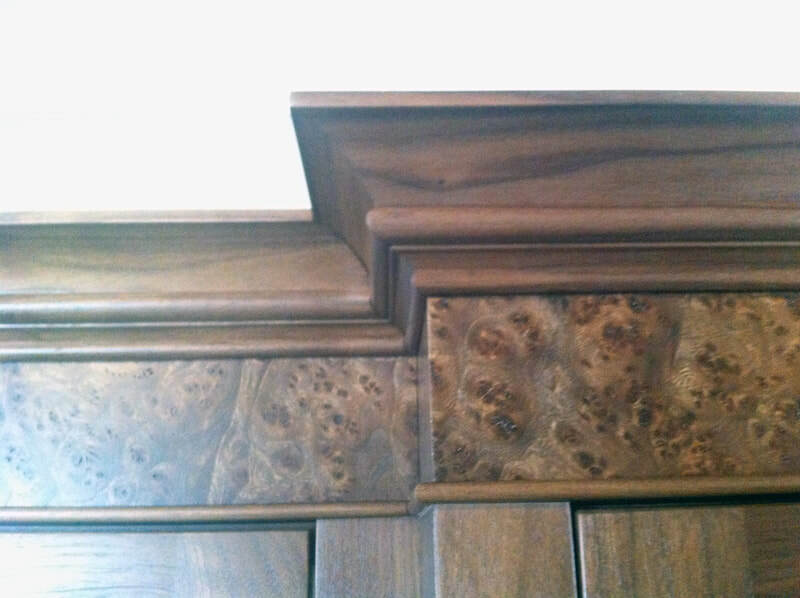 Custom burl veneers and glass-front uppers with matching burl trim beneath the classic cornice. 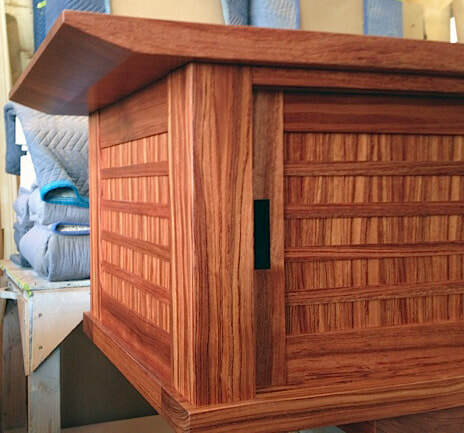 Matching Mahogany desks facing one another with tansu inspired office storage & file cabinet under the window created for this couple's home office. 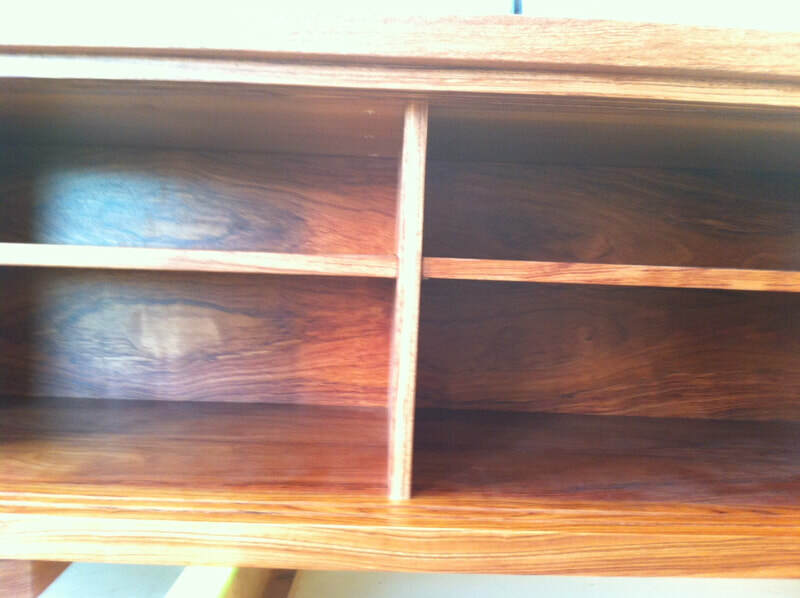 Bubinga tansu-style bench with shelves for storing shoes. 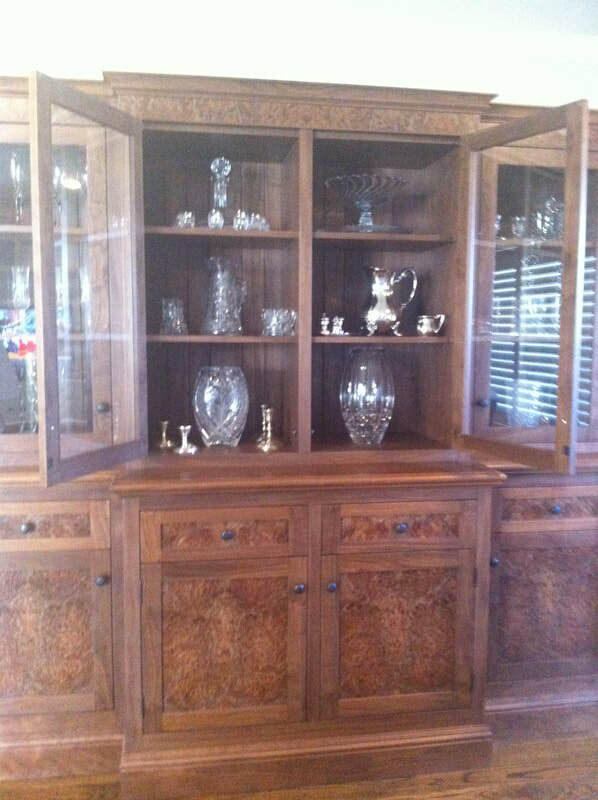 Prior to delivery to the client in Piedmont. 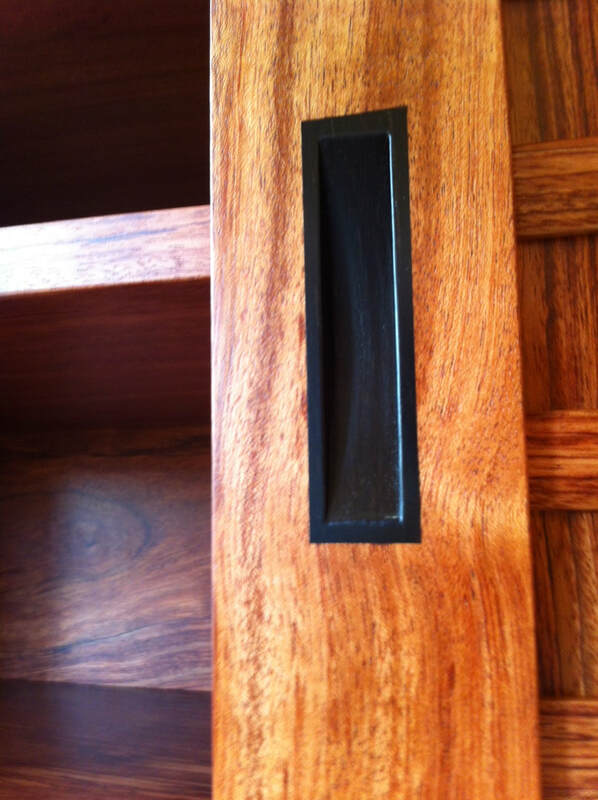 Custom Ebony inset pulls complement the Bubinga. 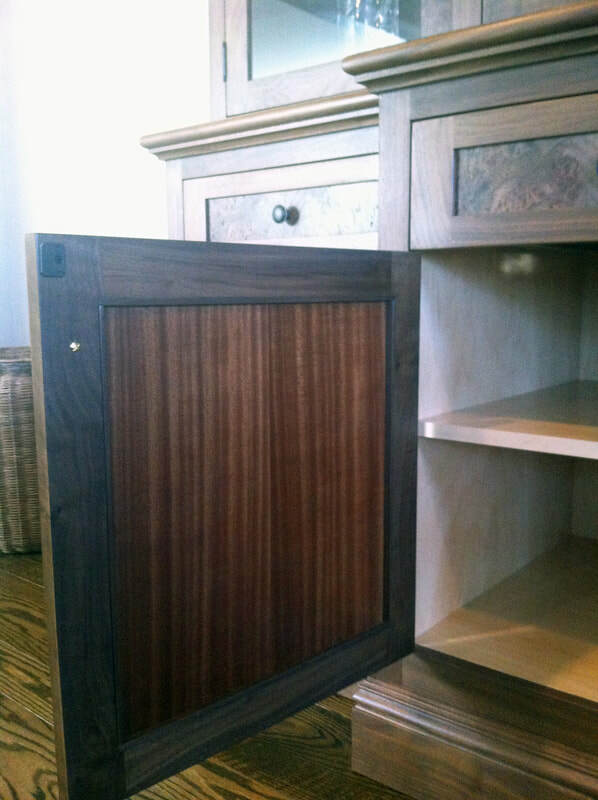 Built-in armoire made with Kwila & Burled Cailfornia Oak drawer handles, with pulls crafted from brass and re-purposed ebony from a piano. 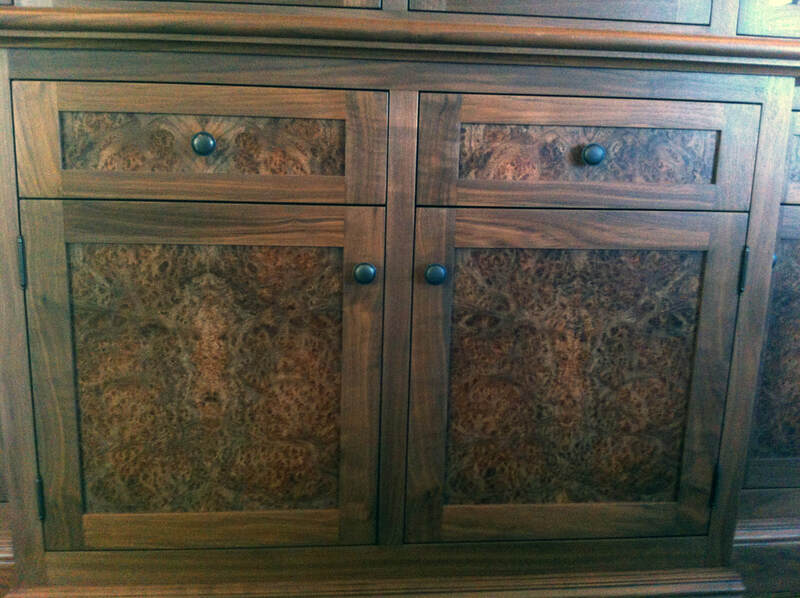 Green and Green inspired curio cabinet in figured mahogany with Ebony details. 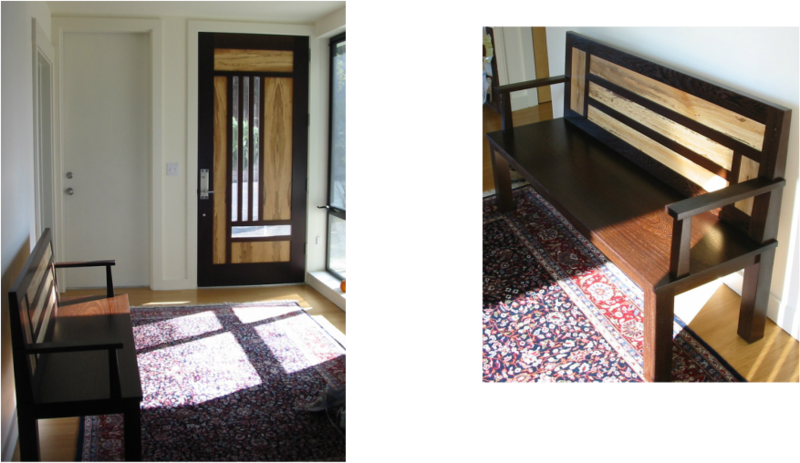 Bench built for entry of Berkeley Hills home. 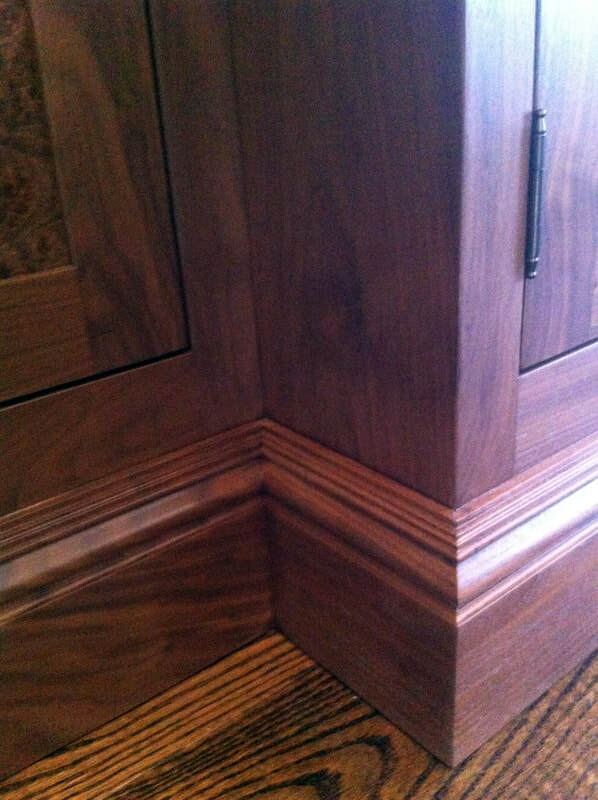 Created in Spalted Sycamore and Wenge to match front entry door. 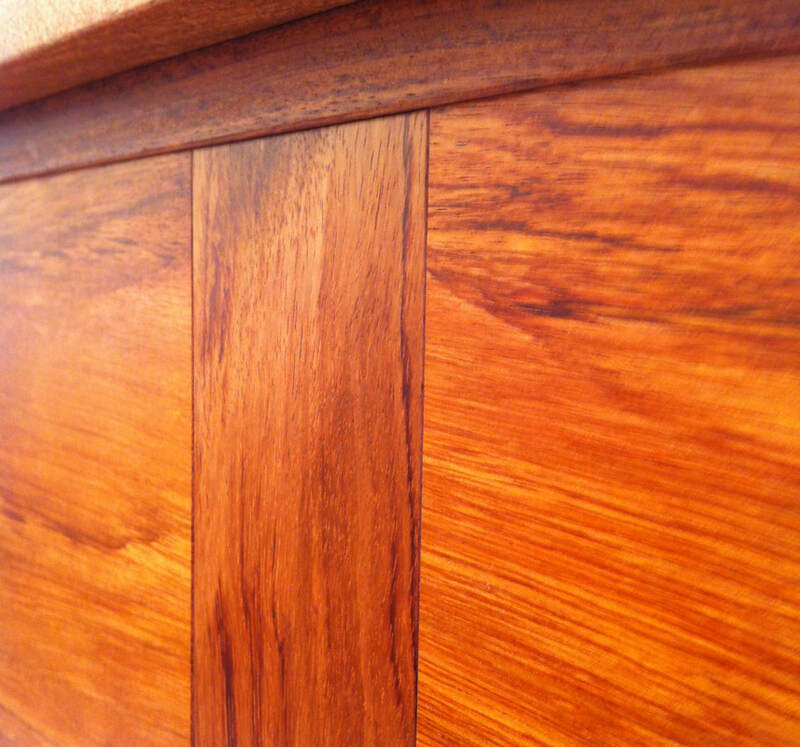 Cherry dining table with Ebony pin detail on leaves.